The first consultation is a very important step that will assess the nature of the venous insufficiency. The initial evaluation includes a complete medical history and physical examination. A precise venous evaluation will be done by the mean of a high definition digital colour doppler ultrasound scan. 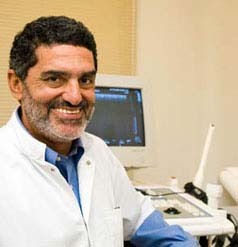 The surgeon in charge of the vein treatment will personally do the ultrasound test. After completion of the ultrasound examination, an individual varicose vein treatment plan is then designed for each patient according to the results of the investigations. As every case is different, this allows us to define a varicose vein treatment plan tailored to each patient’s specific needs. Vein Treatment. Great progress has been achieved in the management of venous disorders.